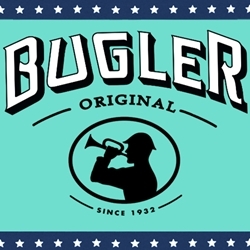 The Bugler brand has been around since 1932 introduced by Lane Limited. A leader in the tobacco community, Bugler has maintained an old fashion style approach to making quality tobacco papers and filtered tubes. Bugler’s papers are of medium thickness and pre-gummed which makes it easy for anyone who loves to make what they want either from home or take it on the go to use later. Bugler papers and filtered tubes are very reliable from first to last and will always give you a smooth easy smoke time and time again. Enthusiasts everywhere have grown to appreciate how good quality Bugler papers and filtered tubes are. Here at Smokers Discounts we believe you will too! We’ve made it easy and affordable to buy our products online. Call us for more details!